The Perfect Storm. You’ve heard of the book or the movie. But in case you haven’t, “The Perfect Storm” was an extraordinary weather condition that occurred in 1991 off the northeast coast of America. Imagine a cyclone, tropical storm and hurricane all coming together at the same time. That’s a perfect storm. Not to diminish the magnitude and outcome (a reported 13 people died) of the perfect storm, but that is the best description I can attach to the period of my life from July 27th to August 30th —my own perfect storm. 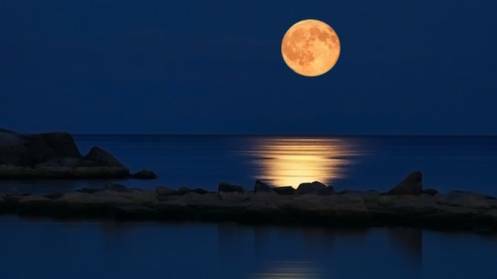 Perhaps you read my earlier post titled “Full Moon Report #1” where I detailed some of the physical, mental and spiritual challenges that were hitting back-to-back. For those of you who didn’t I’ll just summarize by saying it was not a fun period and I was so glad when life finally returned to normal. The premature season change from summer to fall. Although science claims there is no connection between the moon and human behavior, I disagree. During both full moons, I was hyper-sensitive. Things that normally rolled off my back, settled in and festered. I was short- and bad-tempered when usually I’m fairly controlled and good-natured (I can hear a few family members snickering). Even my technology was impacted. My printer would not print color one day but printed color beautifully the next. My cell phone log showed calls I couldn’t explain (and no, my purse did not make the calls for me) and emails did not surface in my Inbox (thank goodness some of you called) or emails populated when they felt like it. Full moons can signal a time of change. They certainly heighten any latent feelings or thoughts, whether positive or negative. When you multiply that effect by two (two full moons in July or three within 62 days), no wonder I had challenges on top of challenges. The challenges started with me and the fact that in July, during the entire month, I was tired, stressed and frustrated; working myself for long periods with seemingly little payoff. Thank you full moon for shining a spotlight on that. I have a friend who is a numerologist. A few years ago, she ran a couple of reports based on my birthday and my full legal name. When I pulled out those reports and reviewed them, I was reminded of my “life path” and how the challenges (in business, career and health) I encountered during my perfect storm, were indeed lessons that supported my work here on Earth. No challenges, no stretching, right? No stretching, no growth, right? The storm period aided in teaching me more spiritual and life lessons like trusting my inner voice more and resting when I needed rest and trusting God to care of my world while I took care of myself. For the past three years, we Libras have been taking a beating. Saturn, known as the task-master planet, parked in our chart and isn’t due to leave until mid-September. Until Saturn leaves, Libras can continue to enjoy difficult challenges in every quadrant of life. I say this with tongue-in-cheek because really Saturn’s visit is a mixed blessing. Yeah, the difficulties can be a drag, but Saturn’s job is to prepare us for the next level. Saturn’s job is to embed lessons and “better serving” behaviors and thoughts in us. It’s been painful, even tearful at times, but I hold on to the belief that this is all for my good. Even though Fall’s official start date is September 23, I have felt Fall for several weeks now. The air is denser, insect life is retreating, the light is shifting and temperatures have been wonderfully moderate. This “Fall feeling” may have been helped by the fact that we didn’t reach 100 degrees until mid-August, which is unusual in this area. And when we finally reached the 100-degree days, they didn’t hang around long. No complaint here except for the impact to my head. Sinus drainage and headaches have been a bummer, but that’s a small price to pay for the arrival of fall, my favorite season. All of these conditions crashed together in July and August to create my perfect storm. But, unlike the crew of the Andrea Gail, I made it through and am now enjoying fairly relaxed, peaceful days. I appreciate the growth that the challenges prompted, but I pray I never have to go through another period like the summer of ’15. Thank you for listening to my whines and complaints. Thank you for going through this growth period with me. Happy Days to all! 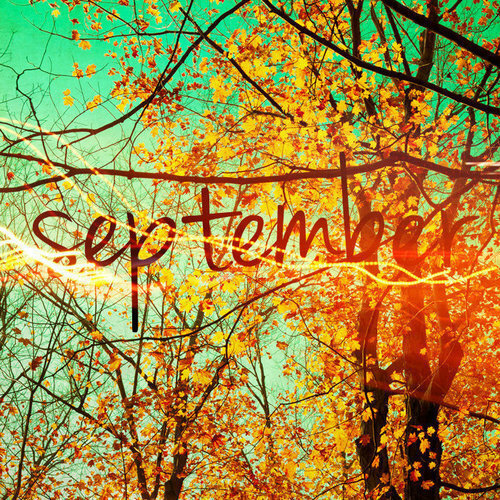 Finally, September… My favorite of all months. I love September for it ushers in Fall. I love September for offering a three-day respite from labor. I love September for serving as a pre-cursor to the holidays -soon to come. I love September for its religious significance; a reminder to fast and pray. I love that it teases us with thoughts of egg nog ice cream and pumpkin muffins. I love that within its dates fall the state fair and the PV/Grambling football game. I love that it’s the ninth month (an indication of completion). I love that it’s my birth month! My favorite of all seasons. I love the cooler fashions. I love having the option of writing indoors or out. I love the vibrant colors—the reds, oranges, browns, yellows, blacks and whites. I love replacing manufactured air with God’s air. And the pecan shells that stain my driveway. I love the sound of the high school marching band; practice session ended but echoing notes still fill my street. To celebrate the arrival finally of two of my loves, September and Fall, I am giving stuff away! Well, not stuff; rather, books. Lyrical Darkness to be exact. Three copies. If you’d like a chance to win one of my love gifts, simply email me at afields121@yahoo.com by September 30th. Use the subject line “Happy Birthday.” (Don’t worry. If you forget to use that subject line, I’ll still scour my Inbox for entries.) At midnight on the 30th, I will toss all email addresses in a basket, draw out three and send the winners an ebook version of Lyrical Darkness. It’s just that simple! NOTE: If you’d like to improve your chances of winning or would prefer a hard copy (instead of ebook), visit Goodreads where I am running a parallel giveaway that begins on September 6th.